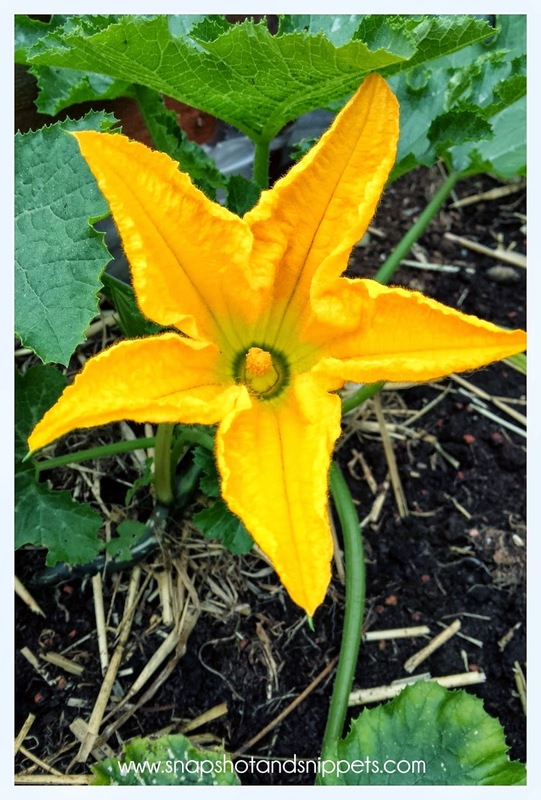 You are here: Home / Gardening / Growing Courgettes – the How and the Why ? A few years ago I took the plunge and start growing courgettes or zucchinis for you in Italy and America. I didn’t before because I didn’t know how too and my lot were not huge fans so why bother? But my brother gave me seed for my birthday of a variety called Oriela ( this is an affiliate link) which is a golden yellow variety and I thought why not give it a go? Little did I know that it was actually quite easy to grow them as I learnt about Growing Courgettes. I sowed mine inside in March, in home-made seed pots. I did a post all about it here and placed them in a mini greenhouse on the window sill in seeding compost – they grew quite quickly and soon enough they were graduating to 7.5cm pots. When the risk of frost is past acclimatize them over a week by taking them outside during the day and bring them in at night. We have quite a sunny, sheltered spot so I it was safe to put them out in May. To plant them out make a hole about a spade’s depth, width, and height and fill with a mixture of compost or well-rotted manure and soil. Sprinkle a general fertilizer or in my case organic fertilizer over the soil. Plant one plant on top of each planting hole, they can be planted in grow bags and pots too. Keep the soil constantly moist by watering around the plants, not over them. They need plenty of water, so sink a 15cm (6in) pot alongside the plants when planting out or a bottle like I did here with the Tomatoes. Water into the pot and it will help ensure that water goes right down to the roots and doesn’t sit around the neck of the plant, which can lead to rotting. The big yellow flowers are the Male flowers and if you are worried you can help fertilization you can try to hand-pollinate plants yourself by removing a male flower and brushing the central parts against the centre of a female flower (female flowers have a swelling at the base – this is the beginning of the fruit). Feed with an organic fertilizer when the fruit appears and start to swell. Powdery mildew: This is a common fungal disease for courgettes, especially in dry conditions when plants are under stress. You will see white, powdery patches of fungus on leaves, stems and, in severe cases, the fruits. I had one leaf do this, I am lucky to have seen it and catch it in time. Remedy: Mulching and watering reduces water stress and helps make plants less prone to infection. Promptly removing any infected shoots will reduce subsequent infection. 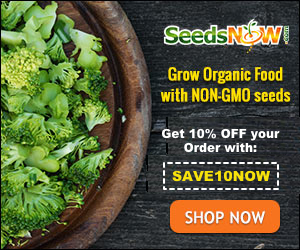 There are no chemicals to treat powdery mildew, but you can use plant and fish oils. Grey mould: This is a problem normally in wet conditions, and is usually worse on weak or damaged plants. The mould normally enters through a wound but, under the right conditions, even healthy plants will be infected. You will see fuzzy grey mould on affected buds, leaves, flowers or fruit. Infected plant parts eventually shrivel and die. Remedy: If you see grey mould, remove the infected material and destroy. Grey mould is encouraged by overcrowding, so make sure you plant your courgettes at the appropriate distance apart. Products containing plant and fish oil blends may be used, but are unlikely to have much impact. The Why to Grow Courgette? While these lovely plants were growing I thought I better find out what on earth I could do with them once my harvest started to arrive. I already shared with you the Tempura Fried Courgette Flowers. And it turns out there is a lot you can make, both sweet and savoury, with the courgettes just check out Chocolate, Chocolate and More’s list of 50 Zucchini recipes to get you started and I have come up a with a couple myself adapted from recipes I already used. a handful of sultanas ( optional) so that if you have a fussy one like me that hates sultanas leave them out! 1. Grate the courgette, carrots and apple into a bowl and squeeze in the juice of the orange and add your sultanas if you want them. 3. 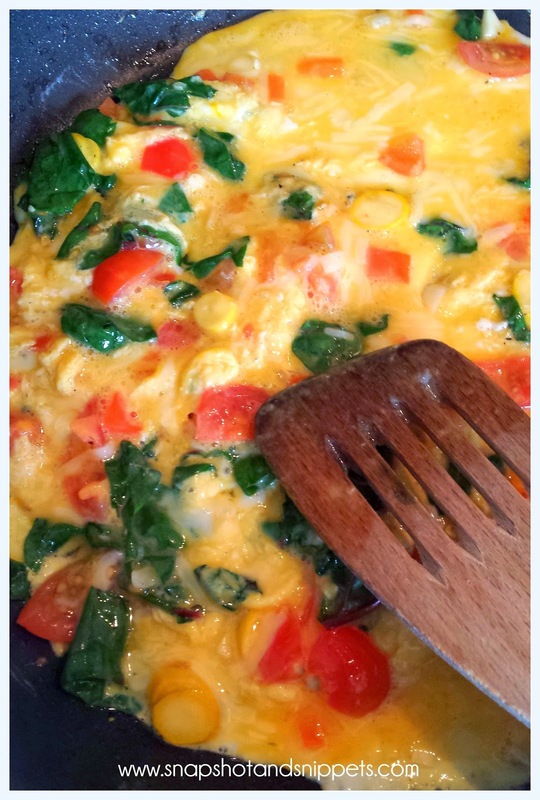 Add the eggs and the melted butter to your bowl – mix well. 5. Finally, add the caster sugar and mix together the whole thing making a thick muffin batter. 6. Place in the muffin cases and put in the oven for 20-25 minutes until fully cooked. 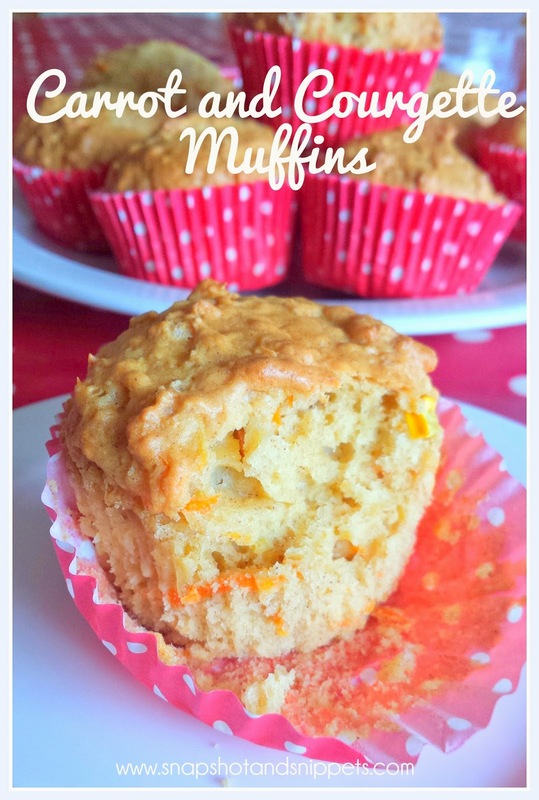 You can decorate them with soft cheese frosting if you like, although they are tasty on their own and handier for lunch boxes without it, they also freeze well. 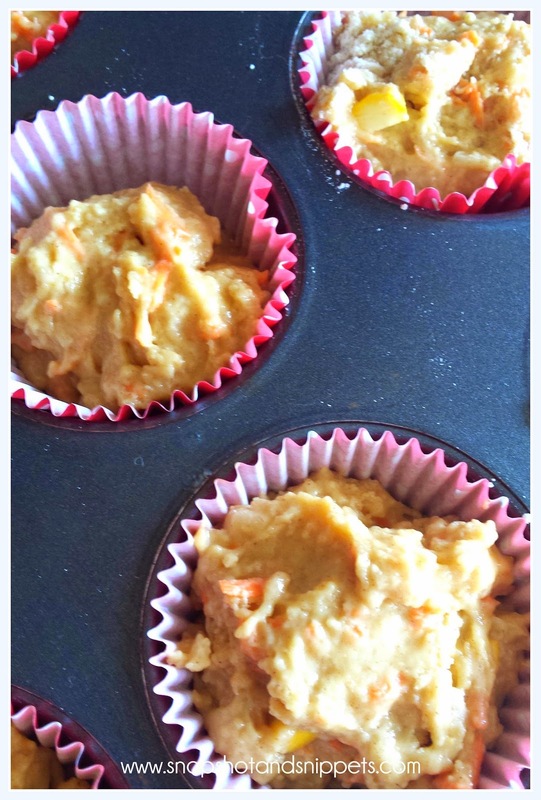 It is a great way to get veggies into kids and if they love carrot cake they will love these muffins. 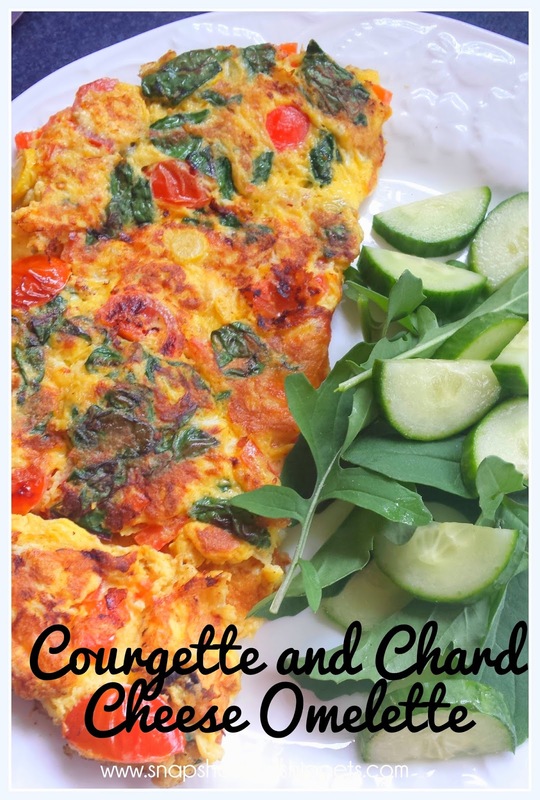 And for a hearty and healthy lunch for Mum try my Courgette and Chard Omelette with Low Fat Cheese and a green salad. a small drop of olive oil. 1. Crack the eggs into a bowl and whisk until light and fluffy add in the grated cheese. 2. 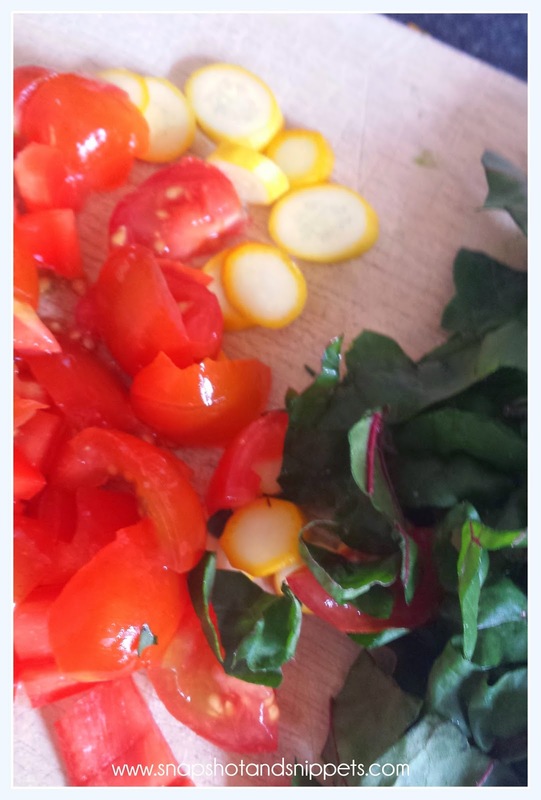 In a pan heat up the olive oil and add the garlic, chard, tomatoes and courgette and gently fry over a medium heat until the courgette is cooked and the chard is wilted. 3. Add in the egg mixture and stir into the cooked veg – fry the omelette until fully cooked on the lower side then flip – if you are feeling nervous about flipping you can pop it under a hot grill to cook the top. Serve with a green Salad – the baby leaf spinach and salad greens came from the garden. 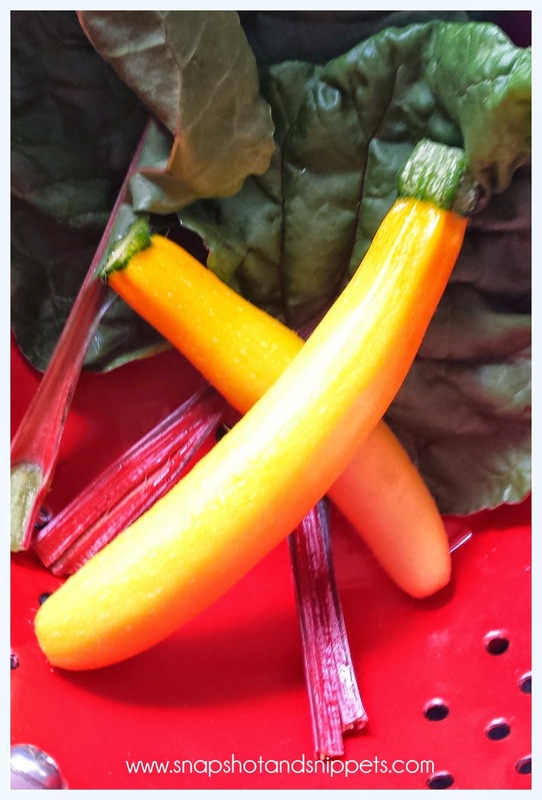 You can also sign up for the Snapshot and Snippets newsletter and receive a free copy of my Recipe Ebook or my Organic Vegetable Garden Planner.